Mike Francesa on WOR-AM radio last night now 'undecided' on his future. (i.e., no one besides free podcasts will give him the time of day - as we reported). Mike also has no comment on the Terrible Trio. Here's the full from his toilet phone call. 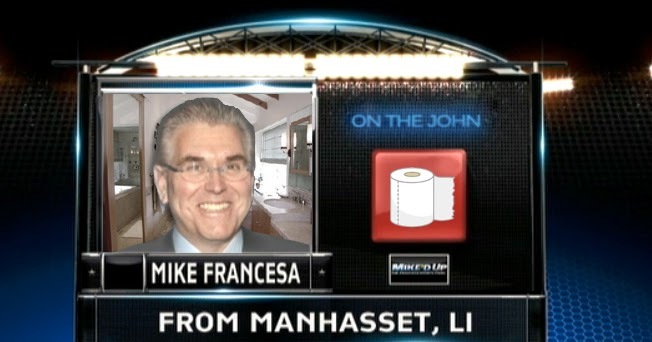 Funny - just 8 years ago, giggling maniacally, Francesa confirmed our then exclusive that Sal Licata had been fired for an incident with a WFAN sponsor (the Connecticut School of Broadcasting). Craig Carton helped him out the door.